Don't let a crime gun's story involve you. The Purchaser: Bought the gun for a roommate who failed the background check. The Roomate: Sold the gun to her friend to pay rent. 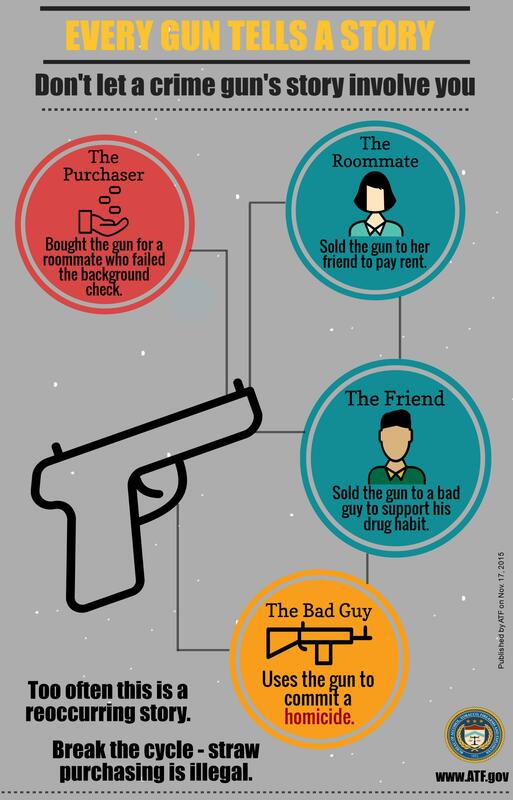 The Friend: Sold the gun to a bad guy to support his drug habit. The Bad Guy: Uses the gun to commit a homicide. Too often, this is a reoccurring story. Break the cycle - straw purchasing is illegal.